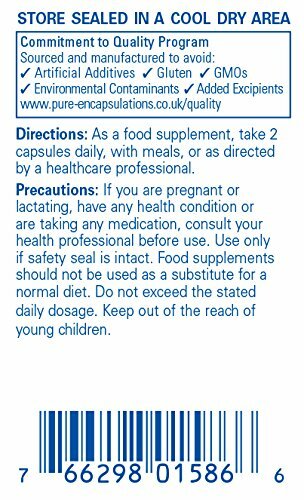 Muscleenergy are proud to offer the brilliant Pure Encapsulations - Nutrient 950E - Multivitamin with Activated Vitamins and Chelated Minerals - 180 Capsules. With so many on offer recently, it is good to have a name you can trust. The Pure Encapsulations - Nutrient 950E - Multivitamin with Activated Vitamins and Chelated Minerals - 180 Capsules is certainly that and will be a superb acquisition. 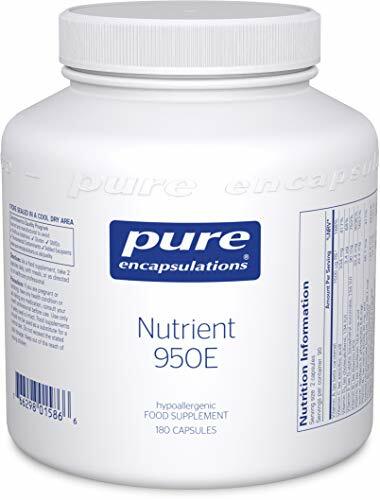 For this great price, the Pure Encapsulations - Nutrient 950E - Multivitamin with Activated Vitamins and Chelated Minerals - 180 Capsules is highly recommended and is a popular choice amongst lots of people. Pure Encapsulations have added some great touches and this equals good value. 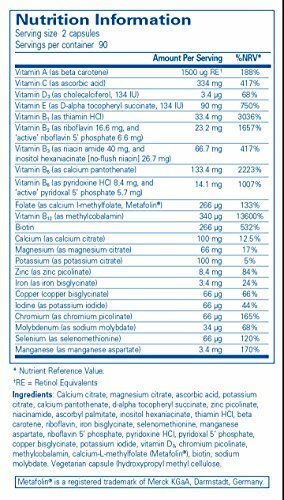 Nutrient 950 is a complete hypoallergenic multivitamin and mineral supplement. Our multivitamin is complete with activated vitamins and chelated minerals to promote optimal absorption. Complete hypoallergenic multivitamin and mineral with activated vitamins and chelated minerals for optimal absorption Vitamins A, C, D, and the minerals selenium and zinc contribute to normal function of the immune system; vitamins B1, B2, B3, B5, B6, biotin and the minerals magnesium and iodine contribute to a normal energy metabolism Magnesium, folate, vitamin B5 and B12 contribute to the reduction of tiredness and fatigue; calcium, magnesium, zinc, manganese and vitamin D contribute to the maintenance of normal bones PURE INGREDIENTS: Pure Encapsulations® products are made using hypoallergenic ingredients, are scientifically validated by third-party laboratories and are designed to deliver predictable results. FREE FROM: All Pure Encapsulations products are free-from wheat and gluten, egg, peanuts, trans fats and hydrogenated oils, GMOs, magnesium stearate, titanium dioxide, carrageenan, coatings and shellacs, artificial colors, flavors and sweeteners, unnecessary binders, fillers and preservatives.